There are many benefits to remodeling your home. You can get that exterior look you have always wanted, increase comfort inside your home and improve your homes safety and health. Obviously there are downsides associated with remodeling. Remodeling requires a time investment for owners, headaches from managing contractors and, of course, the cost required to perform upgrades. But what about the return on your remodeling investment? There certainly are opportunities to get a return on remodels. Returns can bring decreased utility bills, lower cost of repairing old equipment and utility rebate incentives. The biggest return homeowners can leverage is the increase in home value associated with remodels. If increasing your home value is important to you then focusing on exterior improvements is a wise choice such as a new front door, window and siding replacement. This improves the “curb appeal” of your home which, consequently, has a higher impact on the resale value. Compare that to something like crawlspace insulation which only an inspector and the pest control company might see. Another great return for both the home value and your personal comfort is adding air conditioning to the home. According to the US 2017 Census Bureau’s American Housing Survey, Seattle is the least air conditioned metro market in America with only 18.8% of homes having the benefit of full home central AC! https://www.census.gov/programs-surveys/ahs.html. Your home will stand out when it comes time to sell because you will have the benefit of AC, which 4 out of 5 other homes will not. The truth of the matter is remodeling can be challenging, stressful and time consuming. Doing the hard work so the next person does not have to can have great benefits for your personal home enjoyment and your pocketbook. At Washington Energy, we have been committed to being the contractor that makes the remodel process pain free and, dare I say, even enjoyable! This is why our craftsman installers are all in-house team members and we minimize sub-contractor work as much as possible to ensure we have total ownership of the remodel outcome. Every year, Bryant awards one dealer from the Medal of Excellence winners the title of Dealer of the Year. The Dealer of the Year distinction recognizes that dealer as the best-of-the-best…a dealer who embodies Bryant’s “Whatever It Takes” attitude and delivers quality service to their customers every day. They have pursued excellence with such vigor and determination that they are worthy of being distinguished with this highest honor – that of being the one and only Bryant Dealer of the Year. We also won the Circle of Champions Award for Bryant Factory Authorized Dealers (FAD) who have strong performance across all categories of the FAD Awards program. Thank you for the tremendous honor, Bryant! From urgent need to thoughtful upgrade, there are many reasons to replace heating systems. Before your furnace, heat pump or boiler fails, get the inside scoop on heating replacement from our pros. Considering these four scenarios can put you in the driver’s seat to make the best decision for your home comfort needs. In the last few years, our customers have been proactively replacing working heating systems for a variety of reasons. Here are the top four. If you hear loud noises coming from the furnace or smell something burnt when it kicks on your equipment is in need of service. A diagnostic service will reveal whether it is reasonable to fix, covered by warranty, or may not be worth patching up. If the heating equipment is functioning, but it’s over 20 years old, or not routinely maintained, the key parts may be at the end of their lifespan. This is particularly true of natural gas furnaces and boilers, as the wear and tear of burning fuel takes its toll. The energy efficiency of the equipment will have eroded along with the parts, and your bills may be higher because of it. Today’s heating equipment can have significantly higher efficiency than a system installed 20 years ago. So, an old furnace might be a good candidate for proactive heating system replacement. If you have built an addition, remodeled an attic or finished a basement to be part of the living space, there may not be enough heat produced by your current heating system to cover all those new areas. There are many options to heat those new spaces including: replacing the existing heating system with a higher capacity system (with sufficient ductwork), or supplementing the current heating system with a ductless heat pump in the new area. If your heating needs have changed, and you want to improve your comfort, today’s even-heating technologies, such as modulating gas furnaces and variable speed heat pumps may help. Finding the right solution for uncomfortable rooms will depend on understanding the cause. You might have an underperforming or poorly designed heating system, or a combination of issues. Not sure it’s the heating system? A comprehensive home energy audit can pinpoint the sources of discomfort, and show you the most impactful upgrades to make. 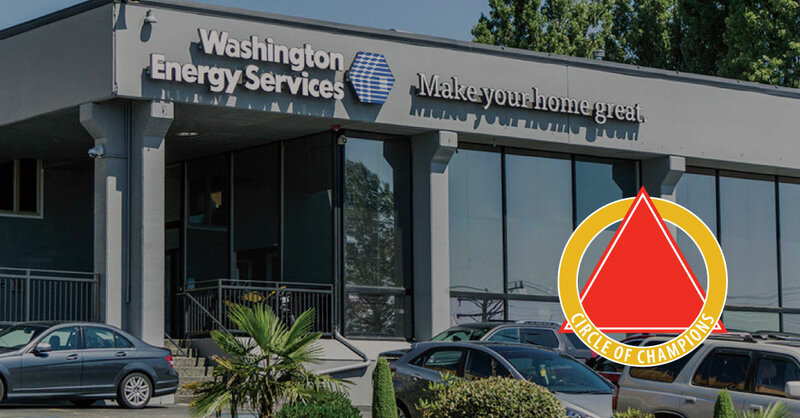 Washington Energy Services offers expert repair and replacement of heating systems, and home energy audits. Our pros will assess your heating system, answer your questions, and provide choices to fit your lifestyle and budget. Are you ready to get a new heating system?